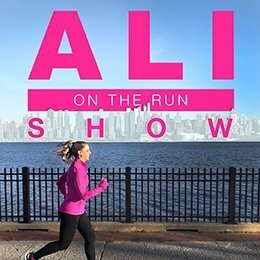 Welcome to the 100th episode of the Ali on the Run Show! And for this very special episode, I’m thrilled to welcome back 2018 Boston Marathon winner Desiree Linden. This is the third time Des has been on the Ali on the Run Show, and it’s always a treat getting a chance to get inside her hardworking, hilarious, competitive head. On this episode, Des recaps her monumental 2018 Boston Marathon victory (including how long her post-race shower was! ), and talks about her recent (gritty!) Rock ‘N’ Roll Philadelphia Half Marathon win. Des is currently gearing up to run the 2018 TCS New York City Marathon, so she also talks about how training is going — and finally answers the question everyone’s been asking: “Who’s coaching you right now?” Des left the Hansons-Brooks Project earlier this year, and today she talks about how she’s shaking things up post-Boston, and how she recovered from her 2017 running slump. Des loves coffee, and if you do, too, you should drink her coffee! Use code ONTHERUN for 10% off your Linden+True coffee order. 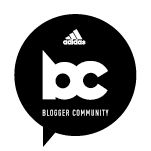 8 Responses to "Ali on the Run Show Episode 100: Des Linden, 2018 Boston Marathon Champion"
Seriously? Desi again? I love the gal but cmon. You can skip this one if you’d like! 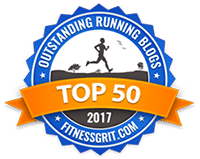 But I’m a big Des fan and was psyched to catch up with her post-Boston (the last full conversation we had was before the Boston Marathon) and to hear about the changes she’s made in her training and coaching, plus what her goals are for the New York City Marathon. HAVE DES ON AS MUCH AS POSSIBLE. She’s the best. Seriously, I could listen to her talk about Boston every day of my life. Thank you! THE MORE DES THE BETTER. I LOVED THIS ONE AND EVERY EPISODE YOU DO ALI! Des I’m in Frankfort MI, I would love to run with you! OR, see you at Stormcloud Brewery!! Nice presentation and love Des, but many of the questions are kinda rude. It’s clear she doesn’t like picking her top whatever, 5 people to win a race, be 2nd in a race, or attend a party etc. She said as much. Those people are her friends and fellow competitors. So why persist with the same kind of questions? “Just show up and see what you can do, quit talking yourself out of it… “ is the greatest running gift I have ever received. Thanks, Des. Hope Brooks has the shirts ready in time for the holidays. Or LT coffee mugs.